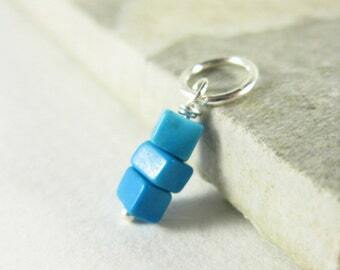 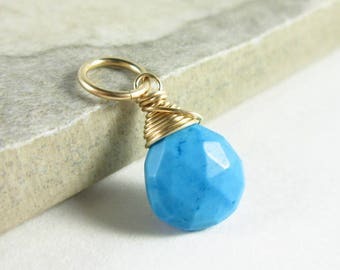 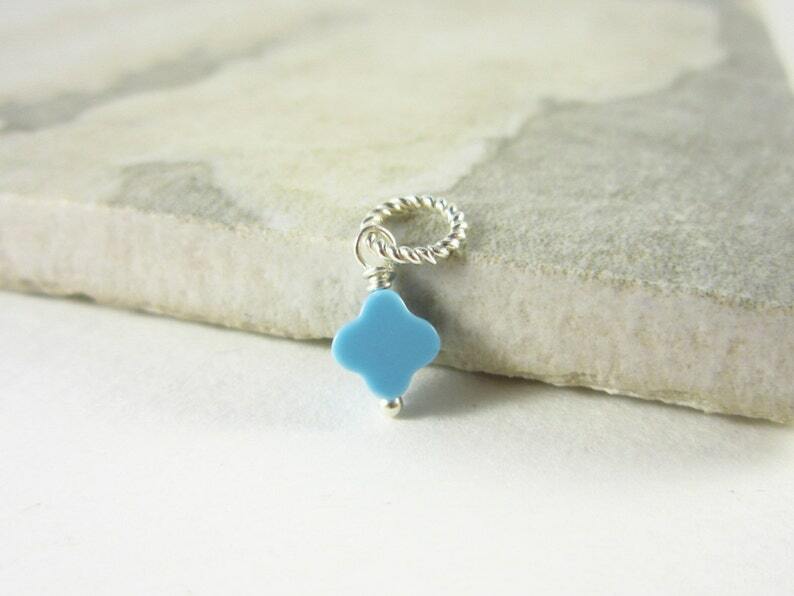 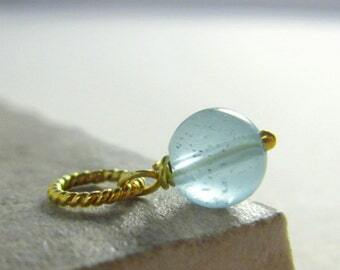 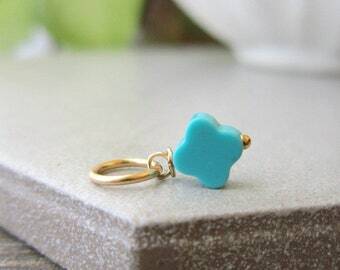 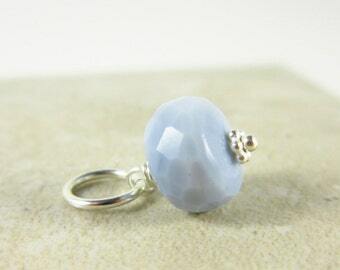 NATURAL/GENUINE STONE - The cutest clover shaped genuine turquoise bead will be wire wrapped in your choice of sterling silver or 14k gold filled wire and includes a 6-7mm jump ring that will fit over most chains 4mm or smaller. 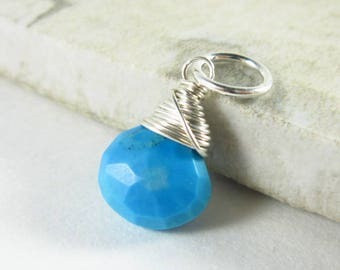 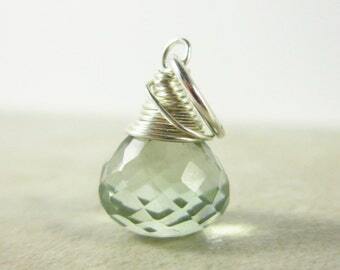 All of my pendants are sold individually and DO NOT include a chain. 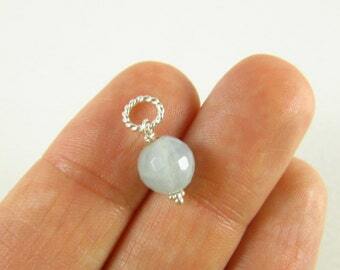 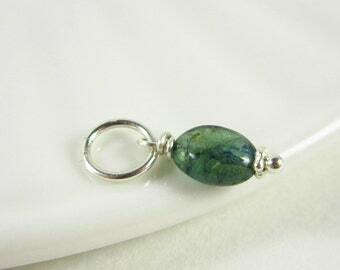 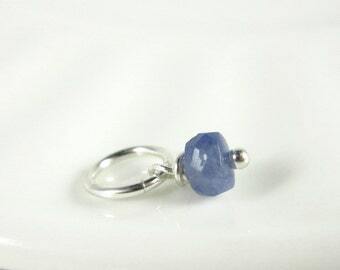 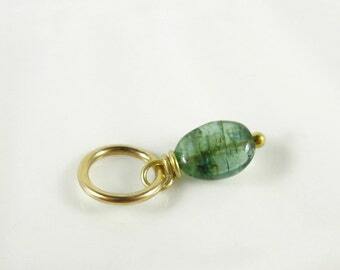 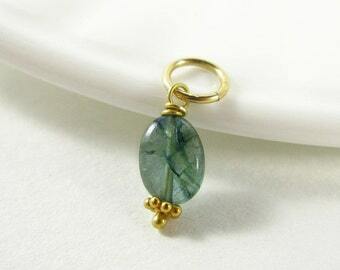 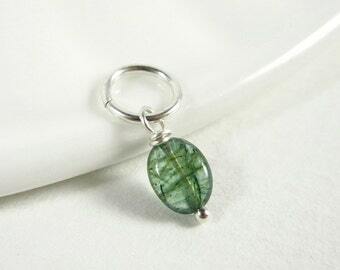 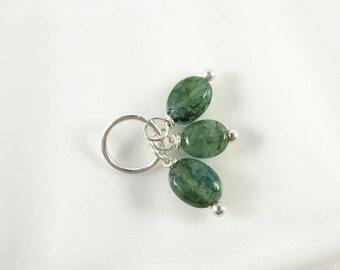 ★Stone measures approx 6mm (1/5 inch) wide.